As the Grand Marshal for the 43rd Annual Illuminated Night Time Parade (on June 16 in Providence, RI), I want you to know that EVERYONE is welcome to celebrate! Here are five reasons you should get louder and prouder at this year&apos;s Annual Pride Celebration. Why choose one Block Party when they’re all within walking distance? Some popular ones are being held at: The Dark Lady/Alley Cat, Ego, The Stable, Mirabar, Freeplay Bar and Arcade, and Providence Eagle. Find their event pages on Facebook. 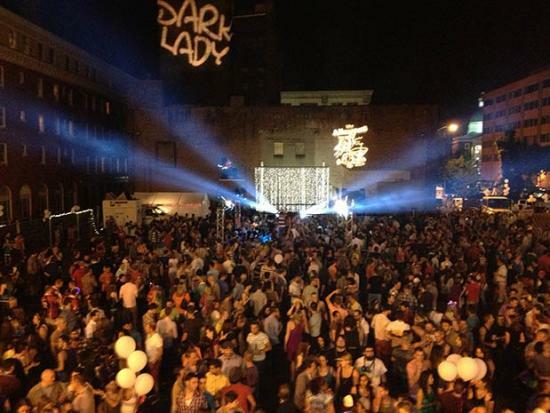 Drag Queens, Drag Kings, everyone outside and in-between — Providence has an exceptional local drag community that would impress Mama Ru herself! This is where the magic happens. Displayed in our parade are the core values of freedom, love, equality, inclusion and, of course, pride. PrideFest is a welcoming festival where you can make friends, learn about the organizations advocating for the LGBTQIA+ community, and enjoy free entertainment. The main stage will feature Monét X Change at 4:30 p.m. Also, fun volunteering opportunities are available — with perks! Who doesn’t love rainbows? Bring your rainbow gear or purchase some stylish official merch here: PriderRI.org/Store. The Hasbro Kids Zone is a great spot for families and children of all ages. 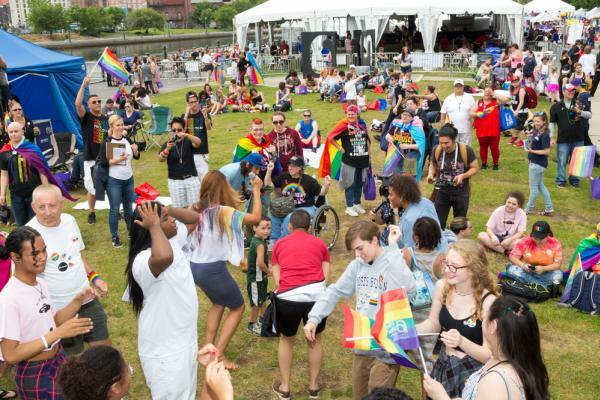 Start making your plans for PrideFest or click here for other fun things to do while you&apos;re in Providence. Ashley Delgado is currently a master's-level student within the Holistic Counseling Program at Salve Regina University in Newport, RI. Within this program, she enjoys courses geared toward attaining her Certificate of Advanced Graduate Study in Expressive and Creative Arts. She earned the title of Ms. Lesbian Rhode Island 2017 and used that platform to engage and empower the local queer community through community building, youth advocacy and legislative change.